As part of their partnership, the Filipino company will carry TP-Link’s latest routers, APs, switches, and other internet-of-things devices in the country. The event, titled “ICT in a Time of Change,” also saw the company strengthening its commitment to boost the Philippines’ information, communications, and technology industry by making industry-leading tech products and services accessible to Filipino consumers, small and medium businesses, and large enterprises. 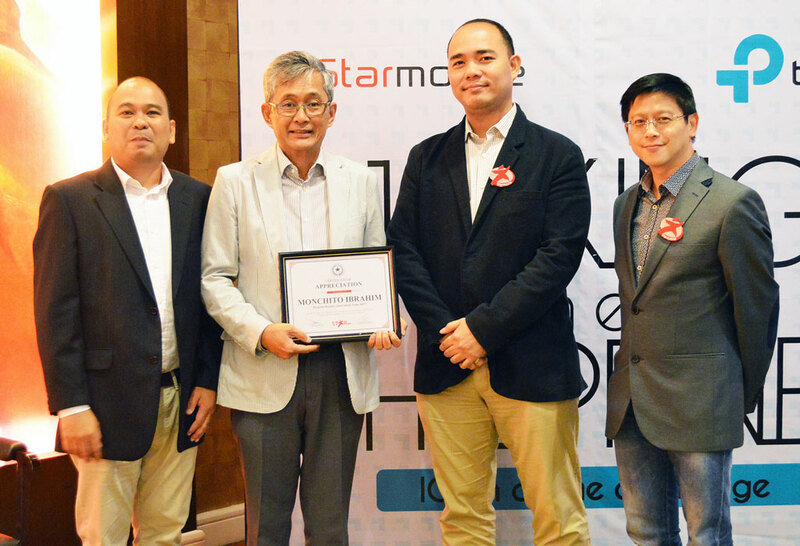 Present at the gathering were (left to right) Jun Aumentado, Senior Sales Head of TP-Link, Monchito Ibrahim, Program Director of eInnovations Team, Department of Information and Communications Technology (DICT), Jerry Manus, Chief Operating Officer of STAR, Inc. and Ulysses Lao, President of STAR, Inc. By leveraging technology to promote positive change and fuel progress, modernization, and innovation in both the country’s public and private sectors, STAR, Inc. supports the DICT’s mandate to promote the digital economy as a path towards inclusive nationwide development.